Émile-Fortuné Petitot was a French oblate missionary , and one of many individuals who has worked with knowledgeable indigenous and non-indigenous land-users to record place names during his extensive travels in the Athabasca-Mackenzie area of what is now the Northwest Territories during 1862-1883.ies for more than 150 years. Petitot was avidly interested in indigenous languages and stories, and his skills as a linguist and ethnographic researcher make his work invaluable in understanding the history and meaning of indigenous cultural and ecological landscapes. Petitot recounts stories about places, provides descriptions of the sites he visited, and details travel routes, fisheries, hunting trips. Petitot created his own method of writing indigenous languages using the French writing system that he was familiar with. Because he was a careful and consistent writer, it is possible to translate his spellings into contemporary orthographies. 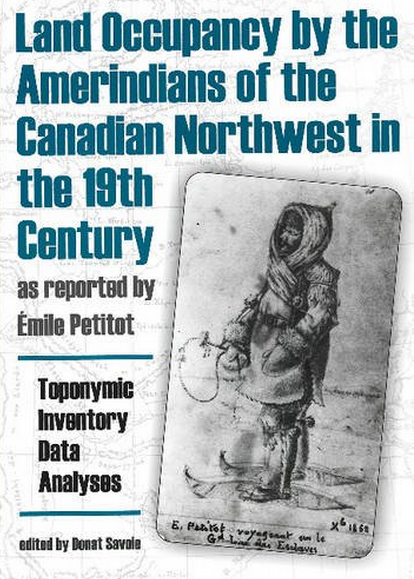 An edited compilation of traditional place names recorded by Petitot was edited by Donat Savoie and published by University of Alberta Press in 1979 and reprinted in 2001. The online map presented here was created from a digital toponymic inventory included with the 2001 reprint. This inventory contains place names, co-ordinates, and information about the names. The place names are presented as-is: using Petitot's orthography, and with editorial comments included. The export process produced a small number of errors in the inventory. This project is ongoing. Digitizing of the full spatial extent of the place names on the 1979/2001 maps is currently being carried out by the Alaska Native Place Names Project.